One of the most influential old-time fiddlers of his generation, Bronx-born Bruce Molsky is also a remarkable guitarist, banjo player, and singer who continually proves that traditional music knows no geographical or cultural boundaries. Elegant and keenly affecting, Bruce's spirited playing melds the archaic mountain sounds of Appalachia, the power of blues, the nimble music of Eastern Europe, and the rhythmic intricacies of traditional African music. 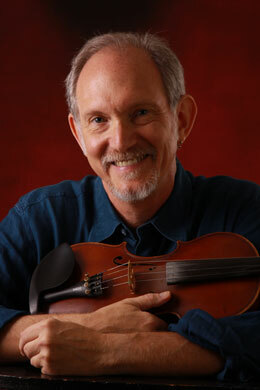 He learned his art directly from renowned Blue Ridge Mountains musicians Tommy Jarrell and Albert Hash, and has earned numerous awards at fiddle and banjo contests around the South. Bruce tours both as a solo artist and with the Grammy-nominated band Fiddlers 4 (with Darol Anger, Michael Doucet, and Rushad Eggleston), with Andy Irvine & Donal Lunny's Mozaik, and in numerous other collaborative constellations with musicians of other cultures. Bruce's most recent solo CD is the brilliant Soon Be Time (Compass).